'The Favourite' received 14 nominations for the Critics' Choice Awards, airing Jan. 13. The Critics’ Choice Awards are right around the corner. The award show, whose nominees and winners are picked by the members of the Broadcast Film Critics Association, released its nominations for the 2019 awards season. 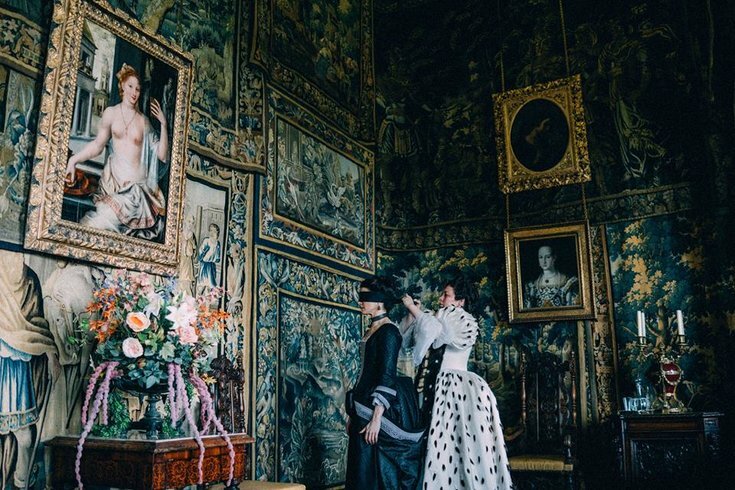 "The Favourite" leads in the nominations in 14 categories, including Best Picture and Best Director, while "Black Panther" wasn’t too far behind with 12 nominations. "First Man" received 10 nominations while "Mary Poppins Returns," "A Star Is Born," and "Vice" each received nine nominations. Netflix received a Best Picture nomination with "Roma," which received eight nominations altogether. Netflix also received 20 nominations in the TV categories as did HBO. FX received 16 nominations while Amazon and NBC received 12 and 11 nominations respectively. Bradley Cooper ("A Star is Born"), Adam McKay ("Vice") and Spike Lee ("BlacKkKlansman") were all nominated for Best Director along with Damien Chazelle (“First Man”), Alfonso Cuarón (“Roma”), Peter Farrelly (“Green Book”), and Yorgos Lanthimos (“The Favourite”). “This Is Us” may be missing from the lineup but actor Milo Ventimiglia received a nomination for Best Actor in a Drama Series. Find the full list of nominations below. The 24th Annual Critics' Choice Awards will air on the CW, Jan. 13, at 7 p.m.
Willem Dafoe – "At Eternity’s Gate"
Ryan Gosling – "First Man"
Ethan Hawke – "First Reformed"
Emily Blunt – "Mary Poppins Returns"
Melissa McCarthy – "Can You Ever Forgive Me?" Timothée Chalamet – "Beautiful Boy"
Sam Elliott – "A Star Is Born"
Richard E. Grant – "Can You Ever Forgive Me?" Michael B. Jordan – "Black Panther"
Claire Foy – "First Man"
Nicole Kidman – "Boy Erased"
Emma Stone – "The Favourite"
Rachel Weisz – "The Favourite"
Thomasin McKenzie – "Leave No Trace"
Millicent Simmonds – "A Quiet Place"
Amandla Stenberg – "The Hate U Give"
Damien Chazelle – "First Man"
Yorgos Lanthimos – "The Favourite"
Bo Burnham – "Eighth Grade"
Deborah Davis and Tony McNamara – "The Favourite"
Nick Vallelonga, Brian Hayes Currie, Peter Farrelly – "Green Book"
Bryan Woods, Scott Beck, John Krasinski – "A Quiet Place"
Ryan Coogler, Joe Robert Cole – "Black Panther"
Nicole Holofcener, Jeff Whitty – "Can You Ever Forgive Me?" Eric Roth and Bradley Cooper & Will Fetters – "A Star Is Born"
Josh Singer – "First Man"
Charlie Wachtel & David Rabinowitz and Kevin Willmott & Spike Lee –" BlacKkKlansman"
James Laxton – "If Beale Street Could Talk"
Matthew Libatique – "A Star Is Born"
Rachel Morrison – "Black Panther"
Robbie Ryan – "The Favourite"
Linus Sandgren – "First Man"
Eugenio Caballero, Barbara Enriquez – "Roma"
Nelson Coates, Andrew Baseman – "Crazy Rich Asians"
Fiona Crombie, Alice Felton – "The Favourite"
Nathan Crowley, Kathy Lucas – "First Man"
John Myhre, Gordon Sim – "Mary Poppins Returns"
Jay Cassidy – "A Star Is Born"
Alfonso Cuarón, Adam Gough – "Roma"
Yorgos Mavropsaridis – "The Favourite"
Alexandra Byrne – "Mary Queen of Scots"
Julian Day – "Bohemian Rhapsody"
Sandy Powell – "The Favourite"
Sandy Powell – "Mary Poppins Returns"
Jason Bateman – "Game Night"
Ryan Reynolds – "Deadpool 2"
Lakeith Stanfield – "Sorry to Bother You"
Rachel McAdams – "Game Night"
Constance Wu – "Crazy Rich Asians"
All the Stars – "Black Panther"
Girl in the Movies – "Dumplin’"
The Place Where Lost Things Go – "Mary Poppins Returns"
Shallow – "A Star Is Born"
Trip a Little Light Fantastic – "Mary Poppins Returns"
Kris Bowers – "Green Book"
Nicholas Britell – "If Beale Street Could Talk"
Alexandre Desplat – "Isle of Dogs"
Ludwig Göransson – "Black Panther"
Justin Hurwitz – "First Man"
Marc Shaiman – "Mary Poppins Returns"